MANKATO, Minnesota (UA) -- Will it be Grover? Cookie Monster? Perhaps Bert and Ernie or the cantankerous Oscar the Grouch? Whichever beloved feathered or furry ?Sesame Street? 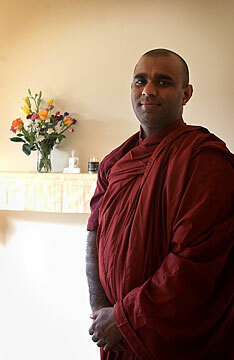 character Bhante Sathi will be appearing with on two episodes of the PBS children?s program, he?s not talking. It?ll have to be a surprise next season for the millions of children who tune into the 35-year-old show every day. 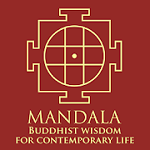 Being asked to be on the show in the first place was a pretty big surprise to Sathi, a Chanhassen-based Buddhist monk who lives in Mankato part time to teach meditation at Pathways Massage & Wellness and Monday nights at the Unitarian Universalist Fellowship. Sathi, 31, went in late January to Sri Lanka, his home country, to help establish housing projects and build homes for victims of the tsunami. During his month-long stay, he traveled with a director of ?Sesame Street,? who also was aiding in the relief efforts. A ?Sesame Street? crew was filming footage to air in segments of the program later, with Sathi appearing in some of the shots. At the time, Sathi - who is from Kandy, Sri Lanka, and moved to the United States in 1999 - hadn?t heard of ?Sesame Street? and had no idea of the significance of the TV crew?s visit to the tsunami disaster front. He also had no clue that the director, who was asking him questions about Buddhism and meditation for children, was considering putting him on the show. When Sathi returned to Minnesota, his friends told him about the infamous kids? show. ?I started learning about it,? Sathi said. ?It?s very interesting.? ?Sesame Street? officials contacted Sathi shortly after his return and invited him to be on the show. Sathi visited the studio in New York last week and discussed the themes of his guest appearances and got to ?meet? the characters he?d be appearing with. Sathi will film his episodes in October and they will air sometime in 2006. Sathi?s segments will include meditation and helping children deal with emotional stress and encouraging children to help others. Sathi?s experience in aiding with the tsunami effort will be weaved into the segments. ?Personally, my intention is to teach kids to handle emotion. And the second one is to teach kids to help and share,? Sathi said. 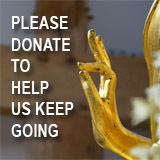 Since his return from Sri Lanka, Sathi and others involved in the Triple Gem of the North, a nonprofit organization dedicated to the study and practice of the teachings of the Buddha, helped raise $50,000 to build homes in Sri Lanka. Sathi hopes to visit the country again to help further the relief effort. Triple Gem is still raising money for the housing effort. Anyone who wishes to donate may send checks to Triple Gem of the North, P.O. Box 323, St. Peter, MN, 56082. For more information call (612) 227-8188 or visit www.triplegem.org. E-mail Sathi at bsathi@gmail.com.